The lighted keypad makes it easy to open in dark rooms/closets. UL has listed the FS712E5 for 1 hour at 350 degrees F. Includes bolt through hole in floor of safe to anchor to the floor or a shelf. 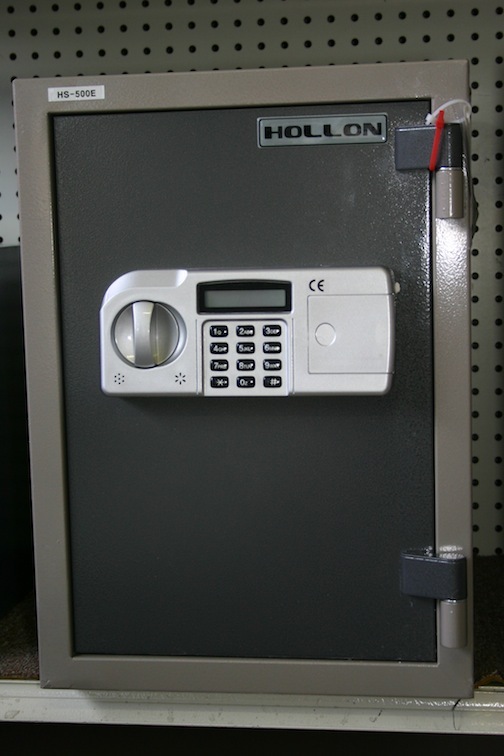 The lighted keypad makes it easy to open in dark rooms/closets. UL has listed the BF912E5 for 1 hour at 350 degrees F and Residential Burglary Rated. Includes bolt through hole in floor of safe to anchor to the floor or a shelf. 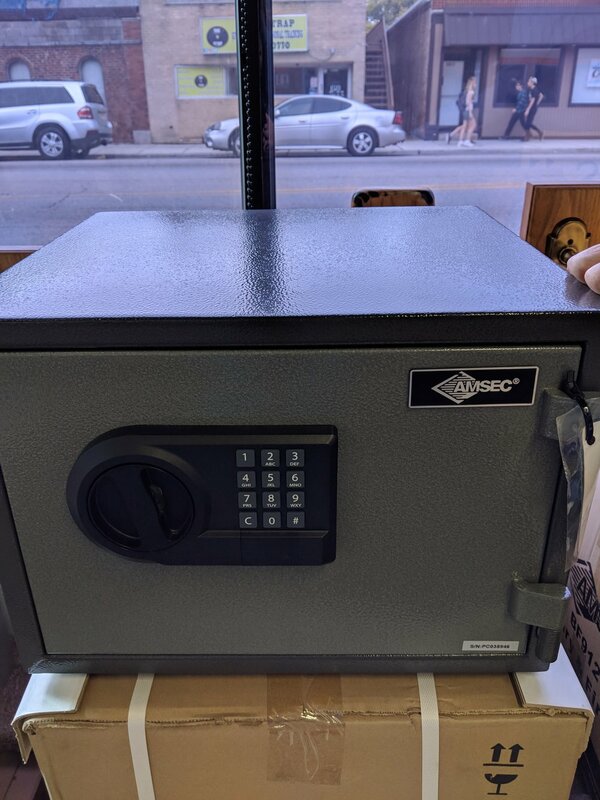 This imported safe has a digital keypad or key/combination. HS 310, HS360 and HS500 have a 2 hour at 1750 degrees F and a 30 foot drop test rating. Extra thick body and door construction for added strength and appearance. Two active locking bolts plus fixed hinge side bolts. Includes bolt through hole in floor of safe to anchor to the floor or a shelf.